The teams that are currently seeking free agents are below. Please contact any of the teams below to join them today. 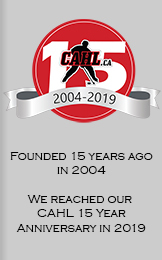 If you don't receive a reply within 24 hours from the teams below then please contact us at info@cahl.ca and we will try to find a team for you.